Vicki Holmes is a Digital Manager at Multiplex Construction, developing and delivering learning strategies to maintain and boost the digital and technical capabilities of the business. 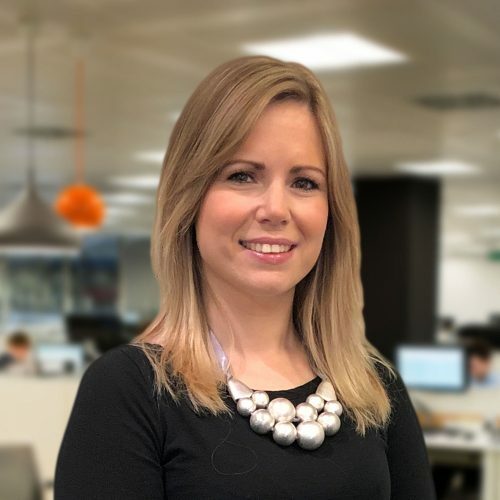 Having previously worked in information management, BIM management, BIM consultancy and BIM project management, she has seen Digital Construction from a number of different angles, and worked closely with stakeholders of every level of seniority and experience. A core member of Women in BIM, she also regularly presents at schools, colleges and universities to promote STEM and Construction to girls in education, and works hard to encourage women of all ages and experience to consider construction as a viable and rewarding career option. As a BIM Manager, Vicki’s objective was to help to create efficient practices that would reduce time spent on site and, as a result, reduce environmental impact of the construction industry. She learnt her craft and eventually joined Multiplex. The BIM team there were (and still are) exceptional but, as in most cases, operating alongside traditional processes – not embedded within them. Everyone in the business needed to be up-skilled, but they’d already tried before. To be successful, they needed to approach this differently. Enrolling the whole company on a 3-day Revit course wouldn’t cut it. So Vicki stepped out of her comfort zone and left her “tribe”. She moved in to the Learning & Development team and began, with the Head of Digital Construction, to develop digital capabilities across the organisation, led from an established centralised business unit. They wanted to give people the tools to take control of digital processes themselves and allow the newly named “Digital Construction Team” to become the auditors, the assistors and the accelerators of digital development. And they’re seeing huge successes already. Moving from one team to another was a massive risk for Vicki; she was comfortable in her BIM bubble. It was also a risk for the business, but they put their trust in her and have been open and receptive to the change. In this session, Vicki will discuss making that leap, and how it was terrifying but necessary for both her, and the organisation’s, continued development.